You get Building Code qualifications – Aerosmith® submittals to design professionals are fast & easy! You get, in one word – PRODUCTIVITY! Aerosmith’s future is particularly bright! Its sales and marketing programs have resulted in major, national distribution partners; product specification by 7 of the top 10 U.S. construction firms; and break-throughs with several international users. All these contribute and support our double-digit growth! 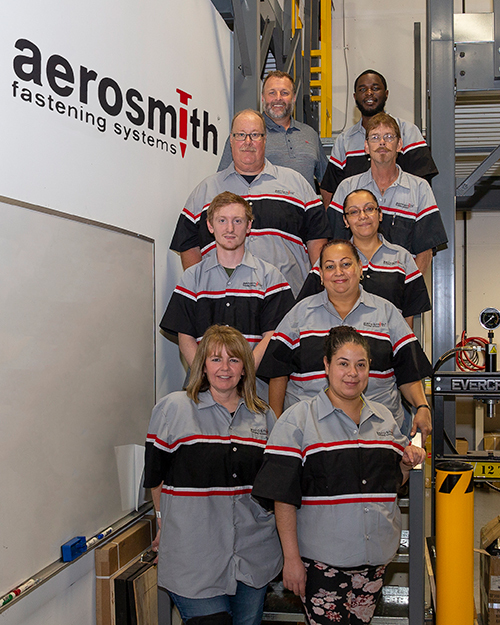 Aerosmith’s manufacturing capacity has more than tripled over the last four years through the addition of the most productive, ‘state-of-the art’ fastener machinery in the world. 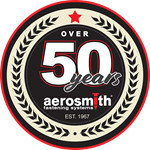 In serving such a diverse variety of fastener applications Aerosmith has developed: numerous, third-party building code evaluations; independent, third party performance testing under ASTM and/or industry standards; PLUS the innovative product development that keeps Aerosmith the industry leader in its class. A most recent example is Aerosmith’s release of a new insulation fastening system that meets/exceeds the newest federal energy codes for construction. In the industrial/OEM markets Aerosmith fasteners are finding new uses in aluminum substrates. Aerosmith’s new, patented fastener designs for international applications in thinner, high tensile steel now travel to market in container loads. All proudly “Made in the U.S.A”! Aerosmith will grow through innovation, add value for our customers, and create wealth and security for our owners and employees while maintaining Company Values.